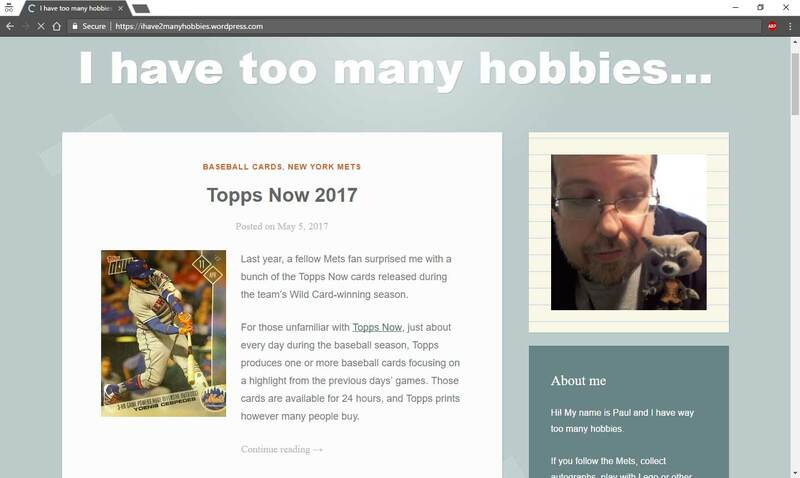 During last weekend's card show I came upon one seller who had a bunch of Walking Dead figures and big box of assorted comics he had recently picked up from another seller. They were 50 cents each but the longer I stood there looking and pulling things out the price was down to 3/$1.00. 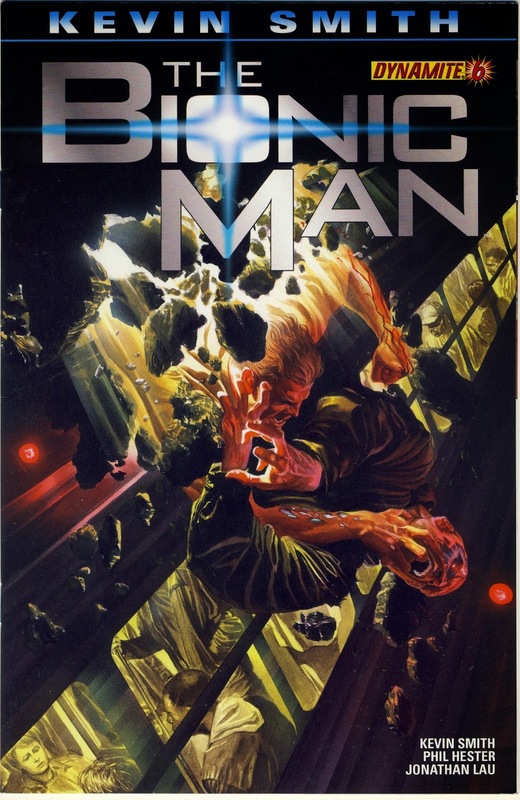 When we are talking 33.33333 cents a comic you can definitely judge a book by it's cover and so here's what I picked up. Season 2 of Nick Offerman's best show, Axe Cop, is due sometime in the near future...It's not clear if Fox even knows...and if you haven't seen Season 1 yet the cover of this issue will give you an idea of how bonkers it is. 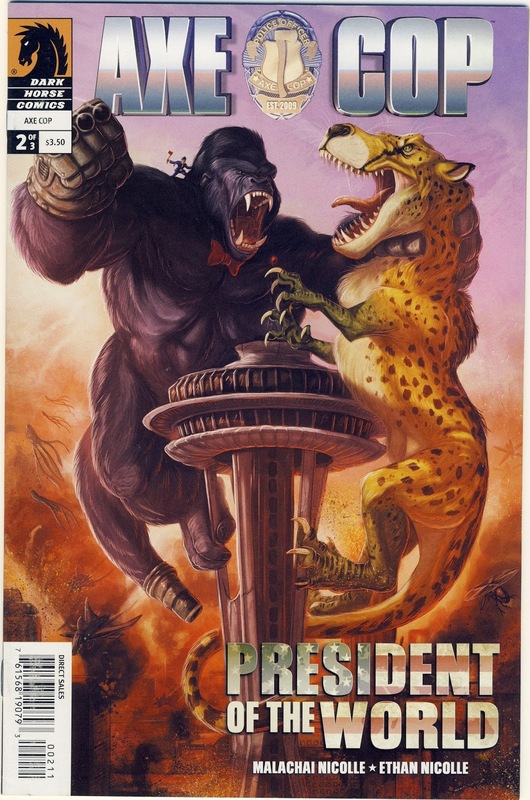 Yes, that's Axe Cop on King Kong's shoulder. 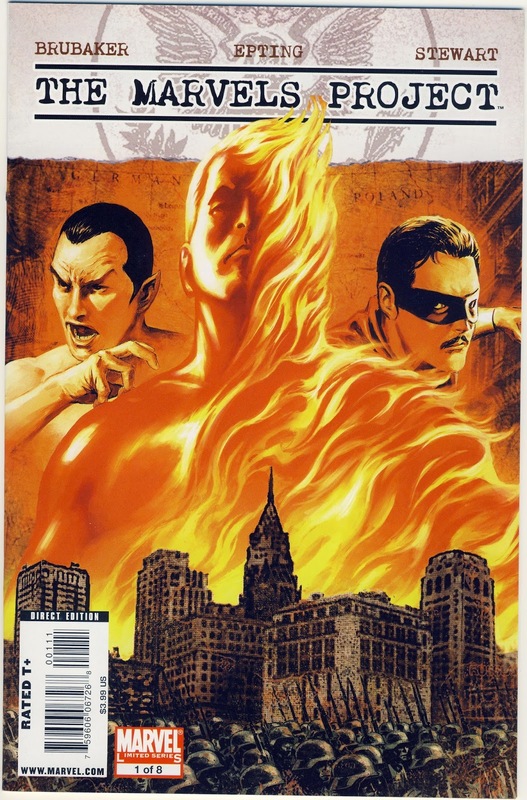 I enjoy Kevin Smith's comic work but this one wins my money because of the Alex Ross painted cover. 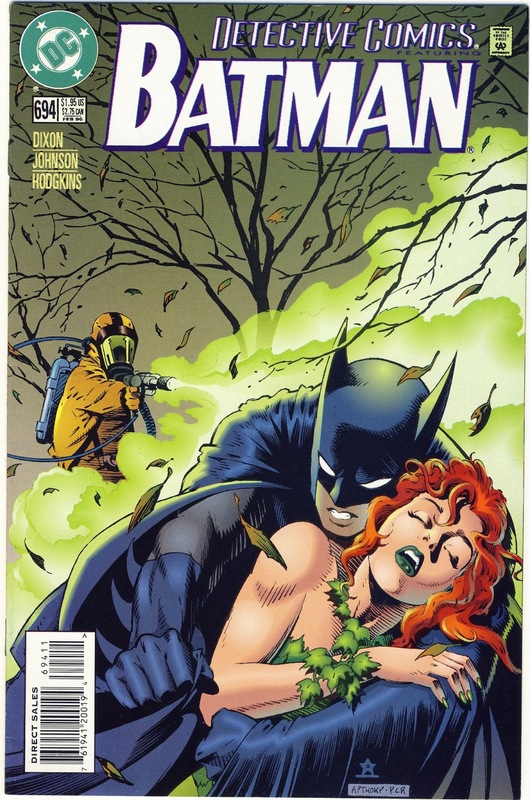 A Poison Ivy story but interestingly the front cover scene never actually happens in the comic. Shhhhhh....Along with the great cover parts of this issue were drawn by Ron Frenz who's known for his work on Amazing Spider-man, including the art for the classic issue "The Kid Who Collects Spider-Man." 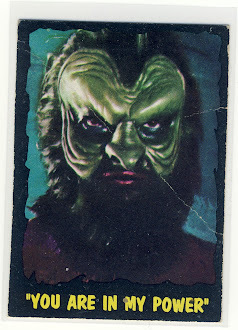 What an amazing acetate cover to a series that lasted 26 issues. Here's the full cover with the front and back combined. You might not have known it but Frank Miller wrote the original screenplay to RoboCop III that was eventually abandoned for the disaster that that movie became. 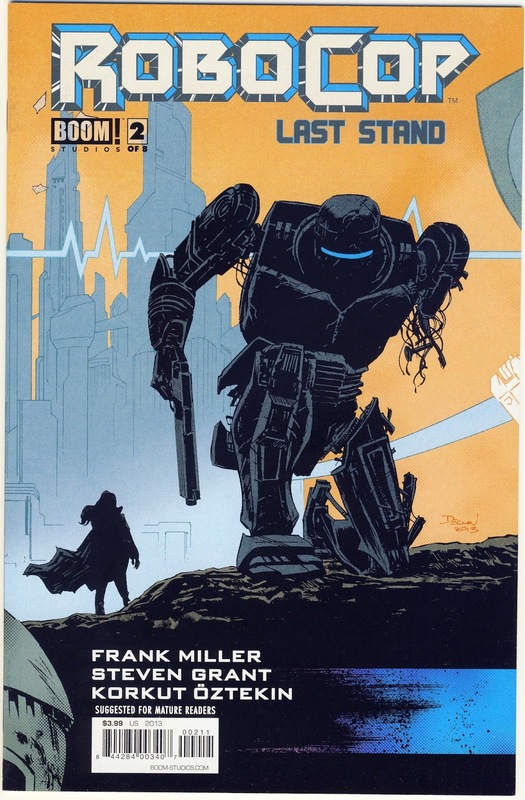 RoboCop: Last Stand is an adaptation of that screenplay in four parts. 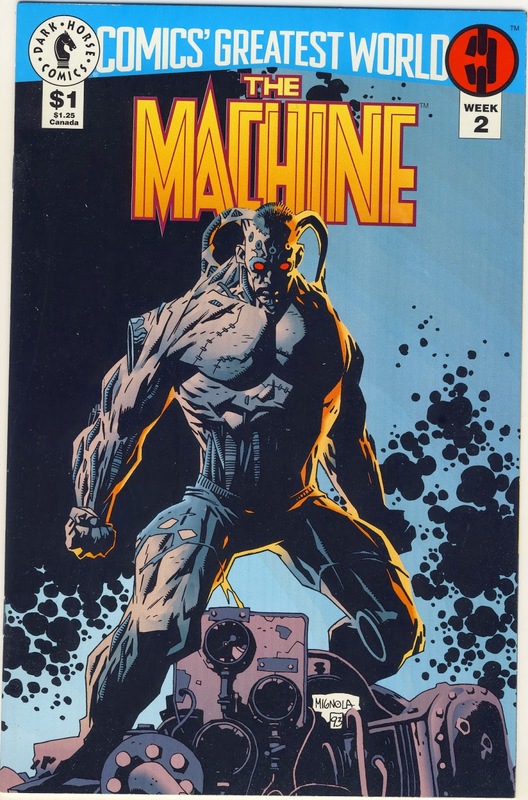 I choose this one for Mr. Hellboy Mike Mignola's awesome cover. 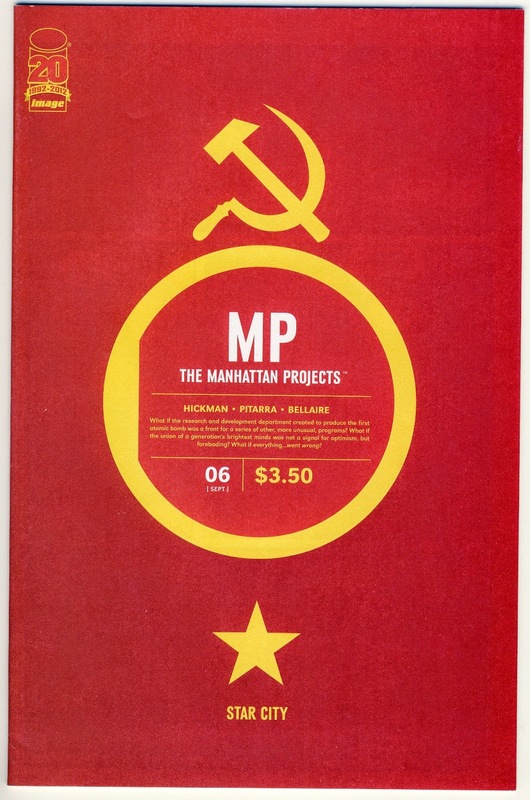 If you are looking for a weird "historical fiction" series set during World War II I cannot recommend The Manhattan Projects more. 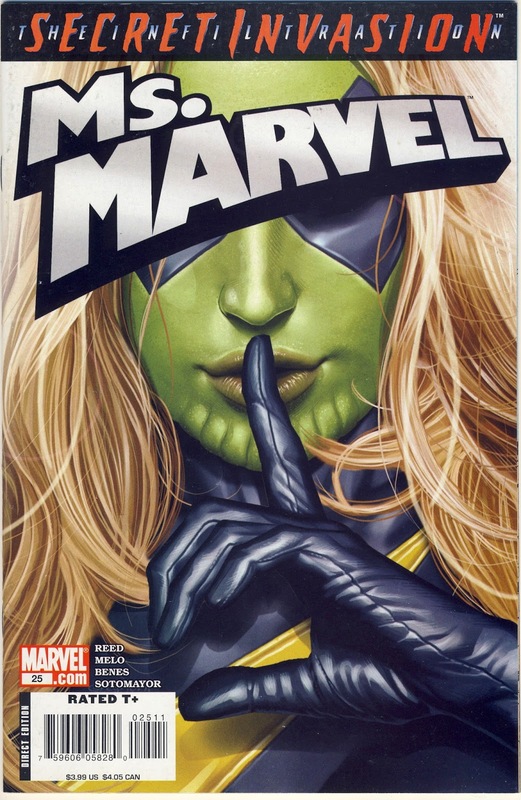 The Marvels Project is sort of a continuation of the all-time great Marvels series which put Alex Ross on the map. I swear every time I look at this I think it is an issue of Dr. 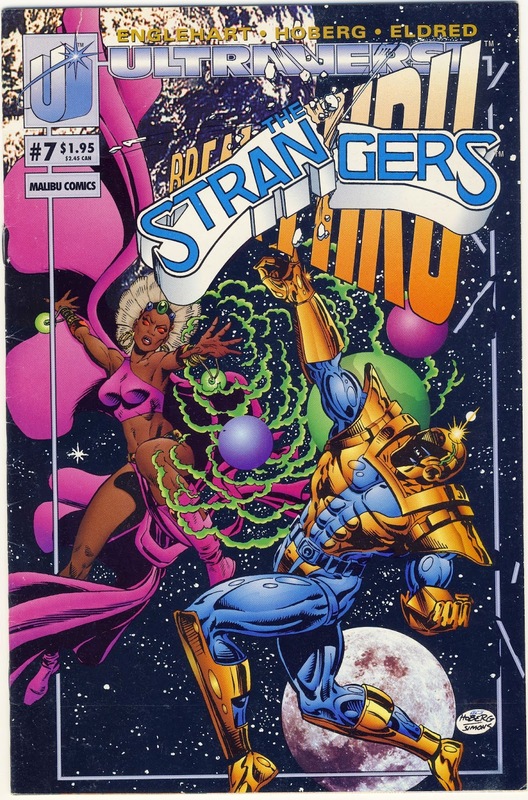 Strange featuring Thanos and Storm from the X-Men. It's not. 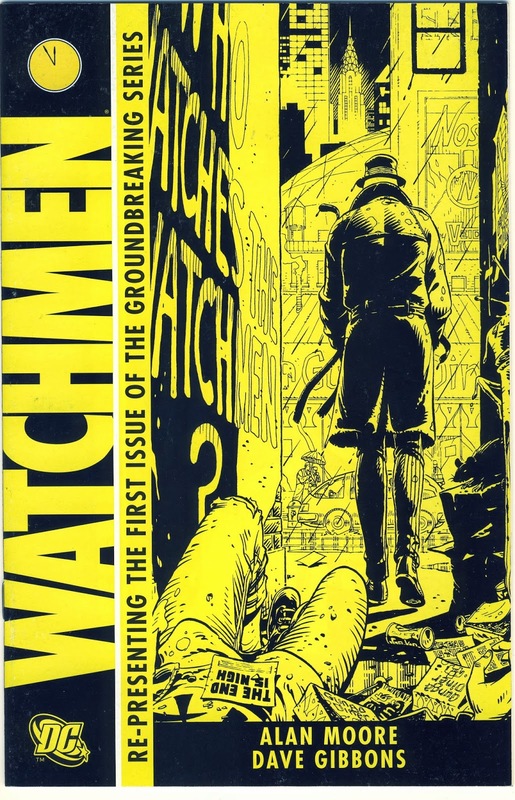 DC re-printed The Watchmen for the movie release and this is the first issue. 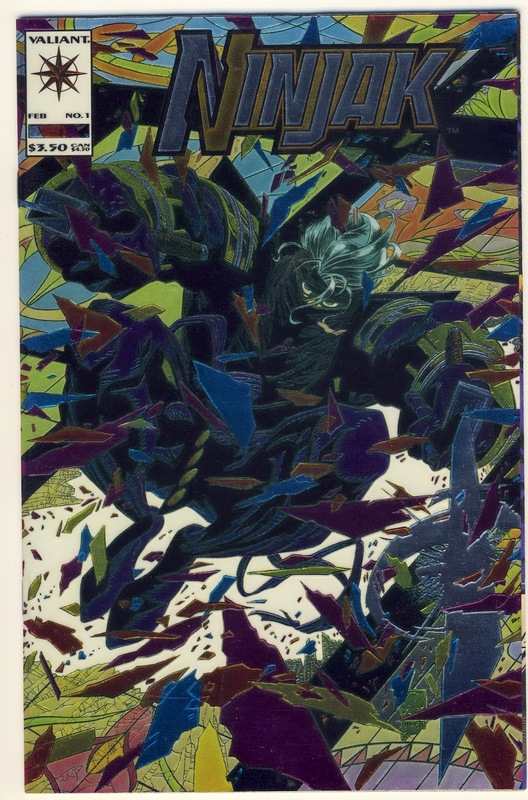 The comic Jim Lee left Marvel to start was WILDC.A.T.S...50 issues and six years later DC bought the WILDC.A.T.S rights and Lee's WildStorm Productions. The circle of life continues. 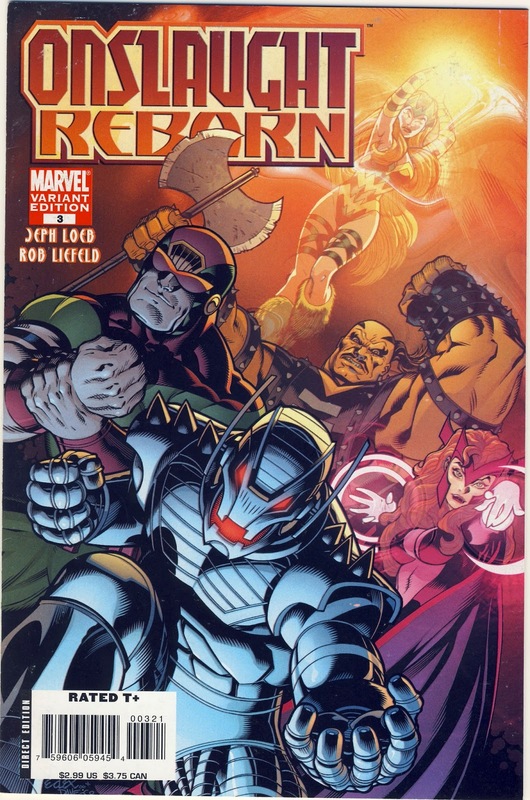 Onslaught is the physical form of the worst parts of the psyche's of Magneto and Professor X and Onslaught Reborn is a 10th Anniversary series of the character's creation. 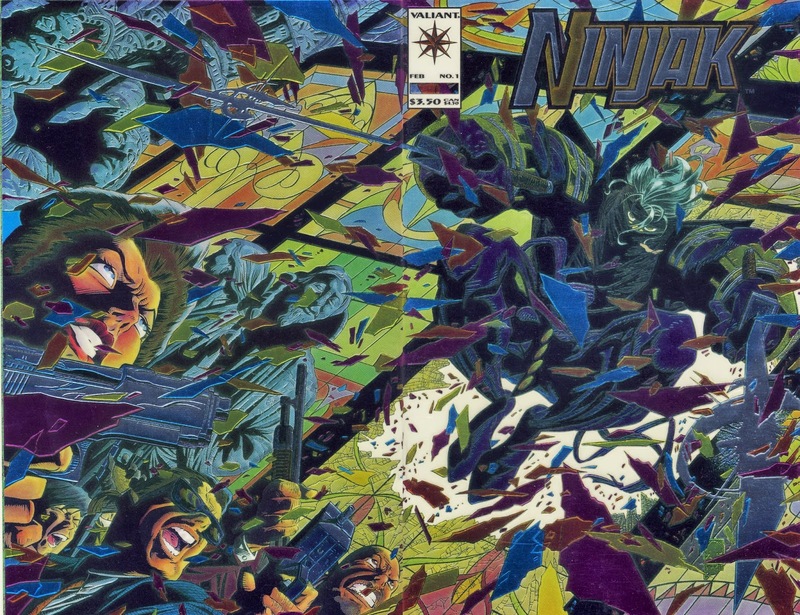 The art was done by one of my favorites, Rob Liefeld. 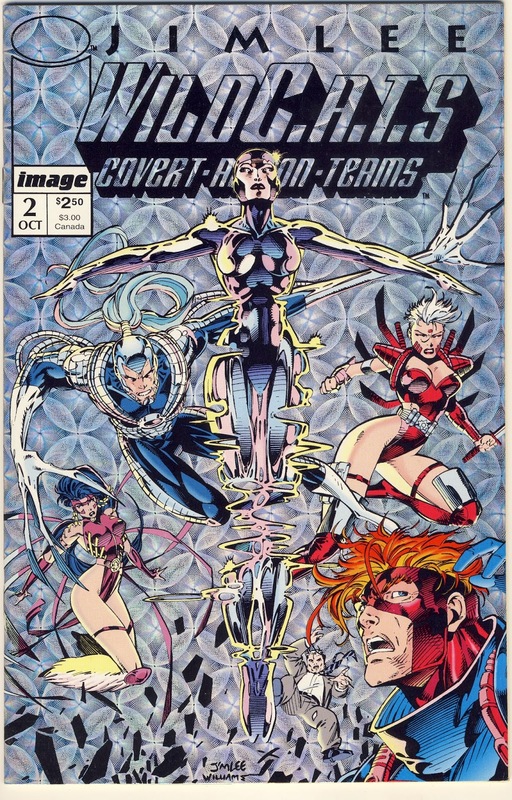 90% of Liefeld's work is awesome but at least a few panels in each issue he draws has really messed up perspective. 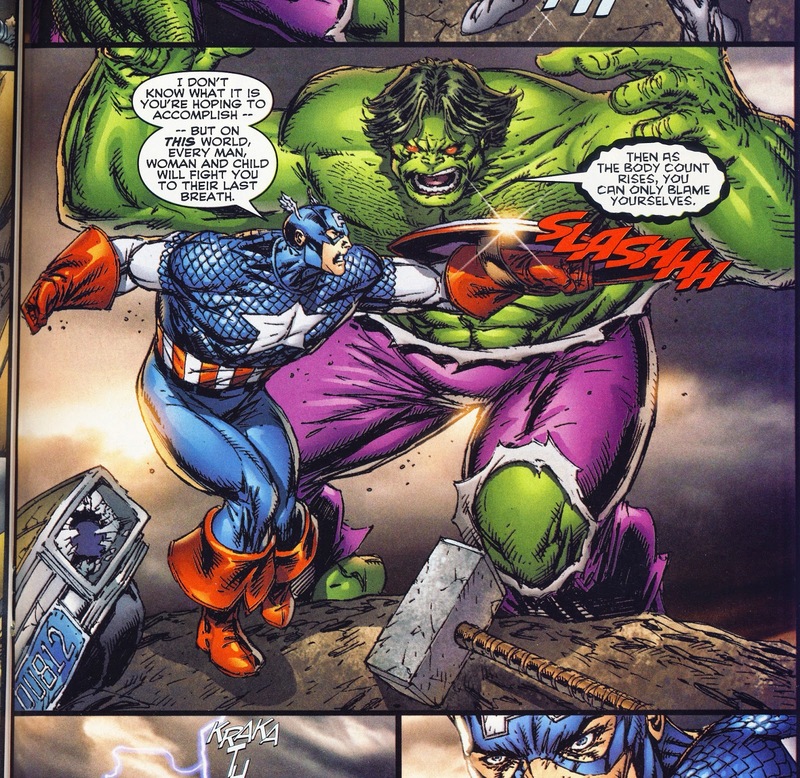 Issue #3 delivered with this great panel with Hulk battling Captain American while it looks like he really really has to pee. Sweet comics. I remember having that Wild CATs back in the day.. all neat and holographic-y.